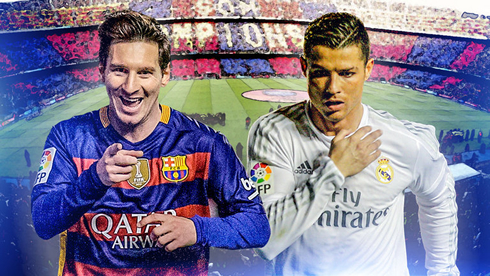 You can start fastening your seat belts because football action will be back this July. 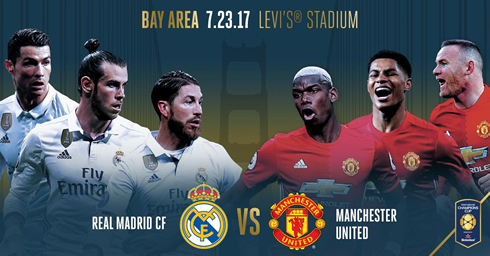 Real Madrid have traveled to the United States to face some serious competition: Manchester United, Manchester City and Barcelona. Could it be any better? After a momentous double-winning season in 2016-17, Real Madrid are preparing to do it all again as the new season starts to come into focus. While summer recruitment and the unenviable task of strengthening arguably the strongest squad in world football are the current priorities, Zinedine Zidane's men are ready to travel Stateside for the International Champions Cup later this month. 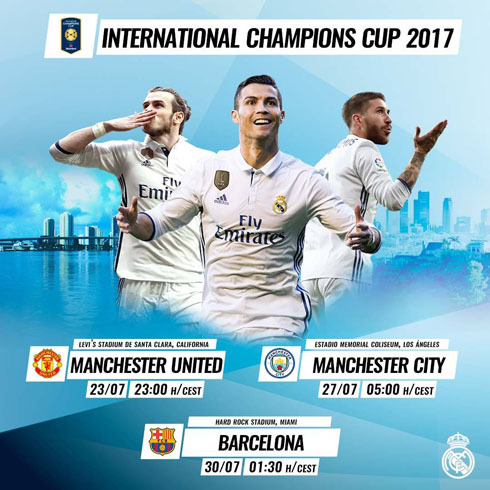 Real Madrid will face Premier League sides Manchester United and Man City in the United States, while the prospect of a Clasico against Barcelona ahead of 2017-18 will whet the appetite of Los Blancos supporters. Despite the fact that the Spaniards go into the tournament as European champions, fans of the English sides will fancy their chances of success. Man United have recently added Romelu Lukaku to their squad, as José Mourinho looks to face his former club in Madrid's first fixture of the summer in California. One man whose performance will be of interest is David De Gea, who continues to be linked with a move to the Spanish giants. The goalkeeper would be a signing to excite the Madridistas, but Man Utd are fighting tooth and nail to keep their stopper at Old Trafford. Likewise, both Alvaro Morata and James Rodriguez- have been linked with Mourinho's men and could use the fixture to weigh up their potential suitors. 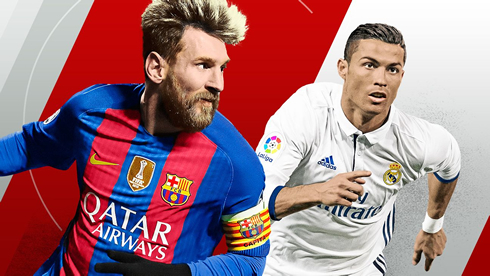 The two teams will be well accustomed to each other by the end of the summer, with the giants of the world game to face off in the European Super Cup also in August. 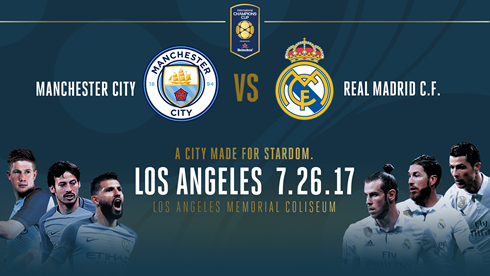 Man City and Barcelona will also pose stern tests for Madrid before the competitive action resumes, with the fixtures in the United States giving Zidane's players a chance to get match fit and ready to defend their Spanish and European crowns in 2017-18. Real Madrid will also look to boost their squad in pre-season and already have been busy in bolstering their ranks. However, the approach from the capital city side has been markedly different than in the heady days of Florentino Perez's Galacticos. Instead of splashing out on household names and established stars, Madrid have instead looked to youthful players that have the potential to become world-beaters in the future. The capture of Dani Ceballos from Real Betis means the young Spaniard joins Vinicius Junior, Theo Hernandez, Jesus Vallejo and Marcos Llorente as the new faces in Zidane's ranks. While further recruitment may largely depend on the potential for current players leaving, landing Monaco starlet Kylian Mbappe would surely be the icing on the cake, with the Spaniards heading the queue of European powerhouses interested in the French forward. However, with expectations sky high ahead of 2017-18, pre-season will be a sounding board before the competitive action begins and the Madrid squad again look to make history.